This webinar clearly teaches Zammo Digital's full system of Facebook ads management and optimization that we use for all our SaaS clients. There are no produdcts or courses being pitched. Just lots of information to help you grow and scale your SaaS startup with Facebook ads. Most people ignore most ads in their newsfeeds. But people click my ads like crazy. You'll learn how to do it too. 8 Optimizations to Lower CPA and Scale Up Growth A great product offer and good targeting are important. But if you don't optimize your campaign right, then you're just wasting money. Aaron Zakowski is the CEO/Founder of Zammo Digital Marketing where he helps leading startups accelerate user acquisition and achieve scale through Facebook ads. 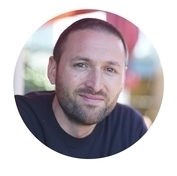 Aaron has managed over $2 million in Facebook ads generating over 500,000 leads and signups for clients such as eBay, InVision, Cuisinart, Webydo, Treehouse and many more. Aaron is a Facebook ads magician. Since Aaron started managing our Facebook campaigns, we've seen a 44% decrease in our cost per lead and we're getting 11X more signups per month compared to the previous agency we were working with. Aaron is super smart when it comes to driving growth from Facebook. Definitely recommend taking his advice if you're looking to make Facebook a growth channel for your subscription business. Aaron's high-converting Facebook campaigns have driven tens of thousands of signups to our SaaS product and helped us to reach seriously positive ROI on Facebook. He succeeded in solving the social B2B lead generation formula where even world-renowned agencies failed for us.